Cape Byron is the most eastern part of Australian mainland. The cape accommodates a conservation area apt for taking a walk through while you admire the indigenous wildlife and beautiful trees. 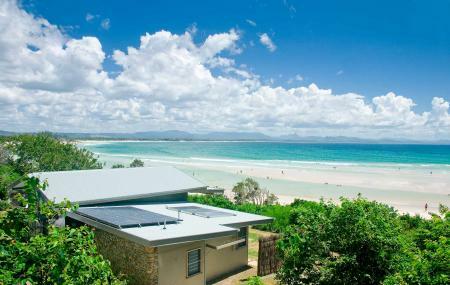 A must on your every visit to Byron bay! Do wear sturdy shoes and carrying a hat around will be handy. Rent a Bicycle or hire a Taxi to reach the place. How popular is Cape Byron State Conservation Area? People normally club together Cape Byron Lighthouse and Wategos Beach And Little Wategos Beach while planning their visit to Cape Byron State Conservation Area.